Neapolitan maker who moved to Rome later in his career. Believed to be largely self-taught, but early instruments show stylistic similarities with the work of Giovanni Tedesco, suggesting that he may have been the pupil of Tedesco. Sannino's work is characteristically varied, with fluid interpretations of at least seven different models. The most outstanding examples date from the 1920s. ...Read More Less accomplished work also exists, and instruments by Tedesco, Desiato, and Sannino’s son-in-law Vincenzo D’Aria have sometimes been 'upgraded' to Sannino. 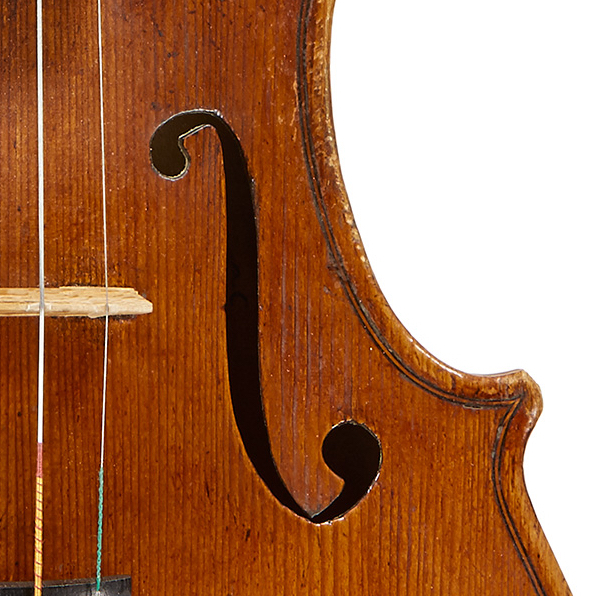 - The auction record for this maker is $76,085 in Oct 2008, for a cello.